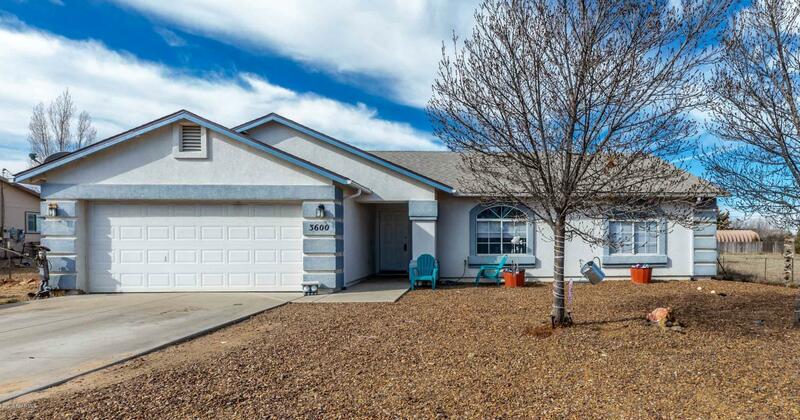 All Lynx Lake Estates homes currently listed for sale in Prescott Valley as of 04/23/2019 are shown below. You can change the search criteria at any time by pressing the 'Change Search' button below. 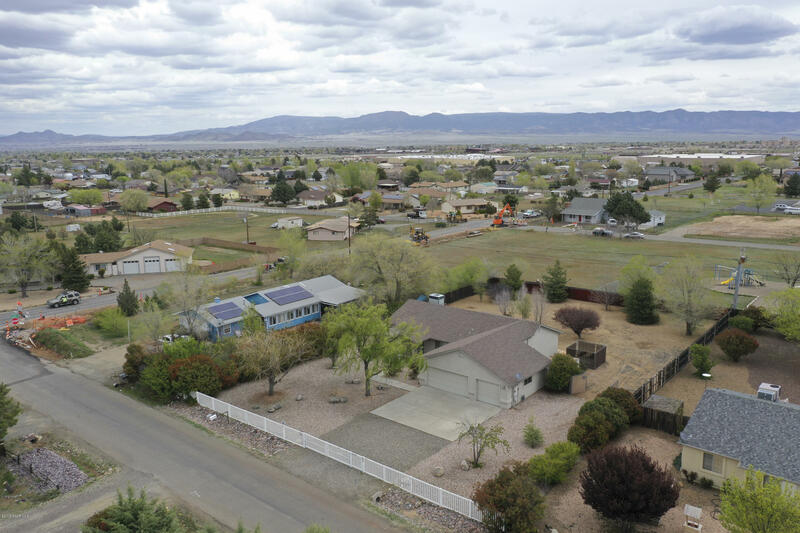 "Excellent opportunity to own a 1/2 acre lot right in town! This property offers a large great room with a fireplace that leads into a dining area off of the kitchen. There are 3 bedrooms that are arranged in a split bedroom plan. The main area of the home has vaulted ceilings and lots of windows which offer lots of light. There is a 3 car garage. The property is completely fenced and has some mature trees on it. The home has gas heat and central a/c. Excellent property that you don't want "
"Charming Home Located in the Highly Desired & Conveniently Located Subdivision of Lynx Lake Estates! This Wonderful Home Sits on a Large Approx .5 Acre Lot Offering Plenty of Room to Enjoy the Possibilities of RV/Trailer Parking, Adding a Detached Garage/Workshop, Toys, Garden and Many More Possibilities! The Home Features Approx 1,645 SqFt, A Comfortable Open Floor Plan, Spacious Living Room w/Gas Fireplace, Vaulted Ceiling & Recessed Lighting, Functional Kitchen w/Pantry, Dining Area w/Bay Win"
"No H.O.A. 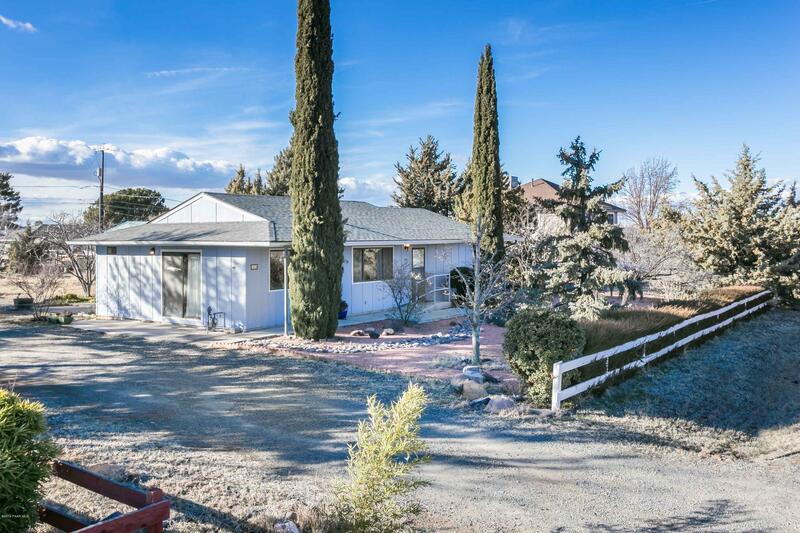 and half an acre in Prescott Valley. 1404 square foot well maintained home. Fresh paint and flooring throughout the living room, kitchen, dining, and master. Guest bedrooms and bath just painted and new carpet goes in on March 27th for the bedrooms. Updated light fixtures in the bathrooms. Park your R.V. or boat on your own property. Fenced garden in the back yard. Minutes from Shopping, Schools, Doctors, Hospital Entertainment, Restaurants, Civic Center and Library. Come enjo"